FORMER Cronulla Sharks player Luke Lewis is getting value for money on an end-of-career trip to the United States. 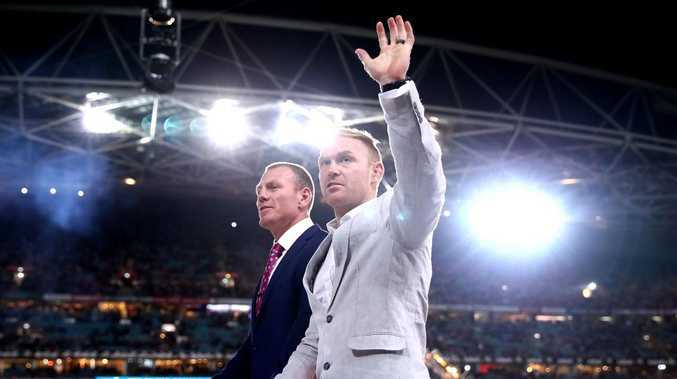 Lewis, who called an end to a 324-game career this season, was at T-Mobile Arena in Las Vegas for the Conor McGregor-Khabib Nurmagomedov fight. And he found himself perilously close to the wild aftermath when Nurmagomedov launched himself into the crowd to fight one of McGregor's teammates. Lewis described the experience as "absolute mayhem". "We got out alive, but I tell you what, we had to sit in our chairs for a good hour after it," Lewis told Triple M's The Grill Team. "It was absolute mayhem. We were about 10 rows back from where it all happened and we couldn't really believe what had just gone on, it was just crazy. "It broke out in the crowd - and then on the other side of the stadium it broke out in the crowd (too). There was chairs getting thrown, it was just going crazy. "We went downstairs to walk out and all through the back of the stadium there was fights through the hallways, into the bar area. There were glasses and bottles getting thrown. 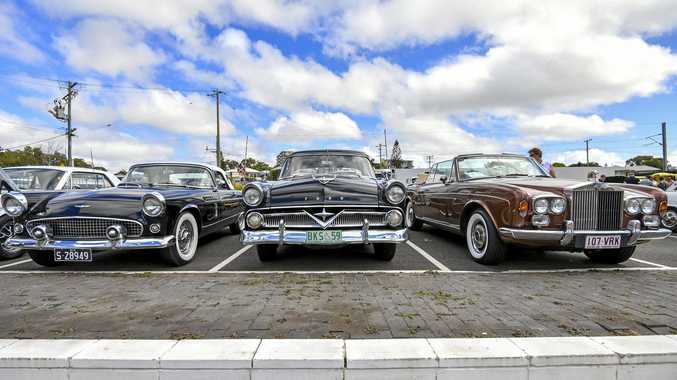 "We went back and sat in our chairs for an extra half-hour until it cooled down. Absolutely crazy." Lewis, who spent 12 seasons with the Panthers before moving to Cronulla in 2013, is overseas with a group of friends. 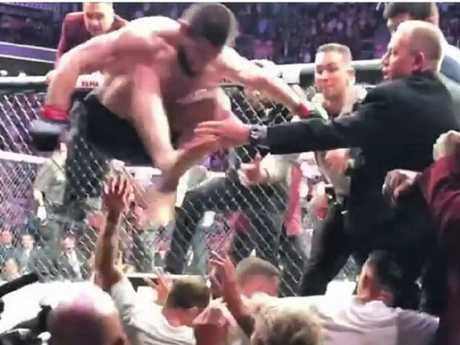 Khabib Nurmagomedov jumps into the crowd. McGregor was forced to tap in the fourth round of the fight after the champion locked in a rear naked choke hold to complete a dominant performance. "I love Conor McGregor, I'm a massive fan of him," Lewis said. "I was sitting there when the fight was about to start, I was shaking for him because I just didn't want him to lose. You hate to see a champion go down. "But when Khabib got in the ring, you knew he was there to fight and he just executed exactly what he said he was going to do at the press conference. He was going to wrestle him and tire him out and then go toe-to-toe with him. And he pretty much did that. "That beautiful right hook he got him with set the tone of the phone. After that Conor looked a little rattled from where we were sitting." Lewis attended an NFL game on Monday morning (AEST) and was planning to catch an NBA game featuring LeBron James and the LA Lakers to complete an epic sporting week.